Today marks the 25th anniversary of Wu-Tang Clan’s iconic debut album “Enter the Wu-Tang (36 Chambers)” and they are celebrating the special occasion with a short film. 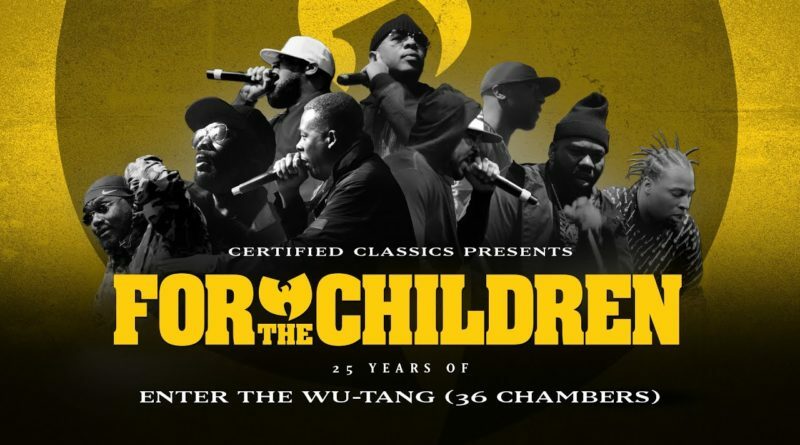 Certified Classics celebrates the 25th Anniversary of Enter the Wu-Tang (36 Chambers) with the release of For The Children: 25 Years of Enter the Wu-Tang (36 Chambers), a short film featuring members of Wu-Tang, family, and friends discussing the impact of the iconic album. Taking viewers on a tour through 36 Chambers, this film explores each song via untold stories from Wu-Tang Clan members, alongside personal reflections from artists like ASAP Rocky, ASAP Ferg, Joey Bada$$ and more. The legendary crew also stopped by Good Morning America to perform the stellar posse cut, “Protect Ya Neck”.